First things first - BBC VFX is a thundering great tome that tips the scales at not far south of 2 kg (4 lb) and is an encyclopedic 240 pages from end to end. 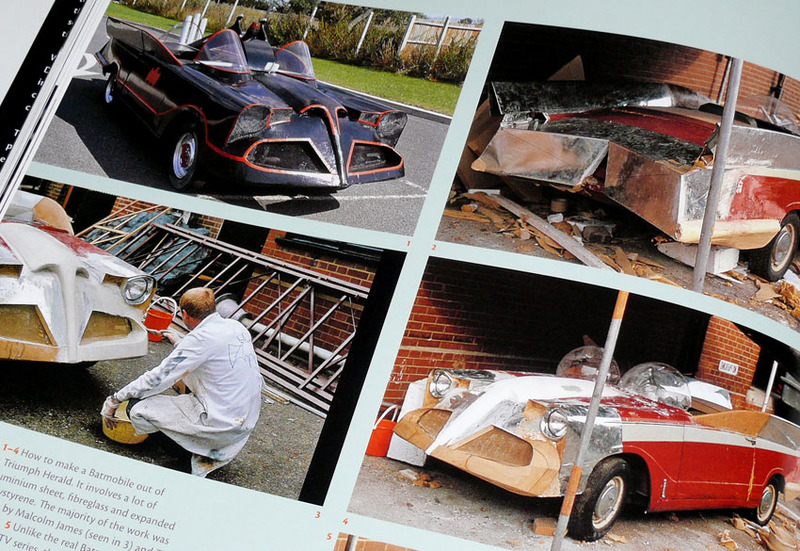 And in fact, that’s just what it is - a show-by-show encyclopedia detailing the work of the BBC Visual Effects (‘VFX’) Department down the years. 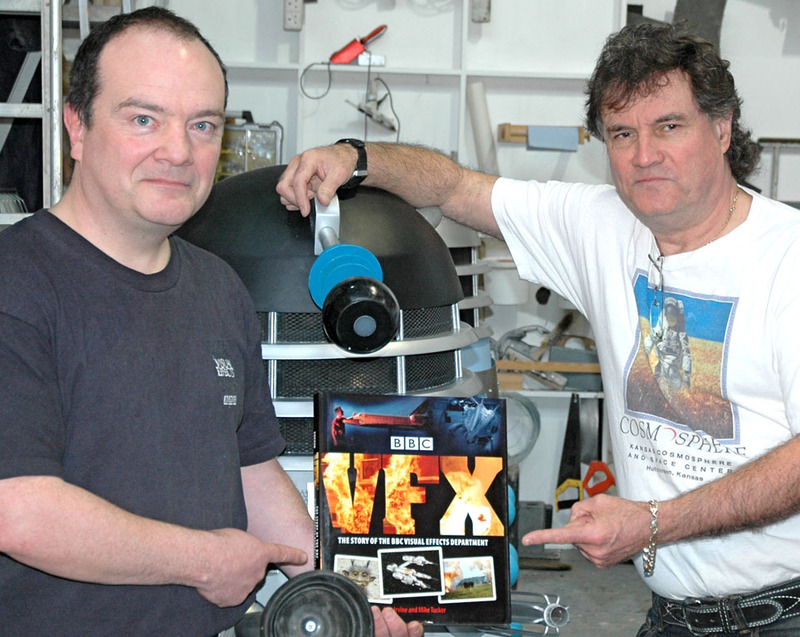 The two authors behind BBC VFX are long-time experts in the VFX field. We know Mat well for his contributions to SMN, and for his droolworthy Model Museum, packed with examples just about every kit ever made. Mike Tucker worked at the BBC until 2003, and now runs his own company, The Model Unit, based at Ealing Studios near London. 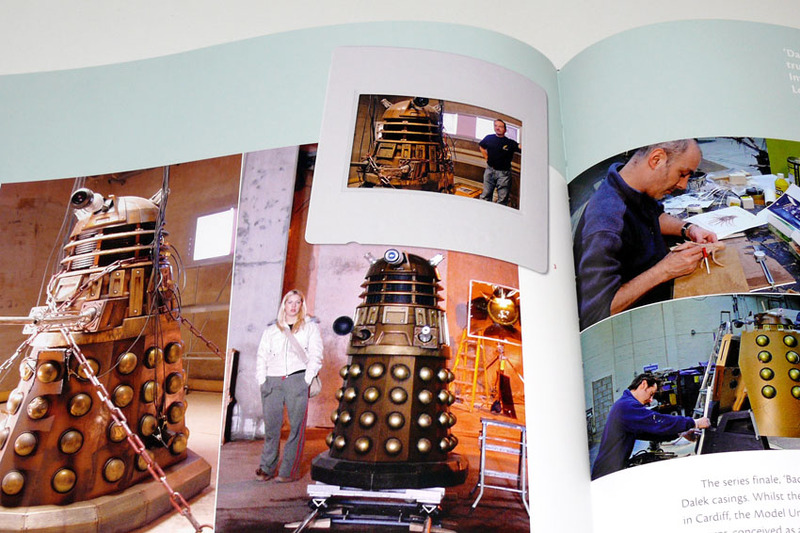 So what’s between the covers of BBC VFX? Quite simply, the most complete listings, descriptions, and behind-the-scenes information about virtually every BBC TV show that’s featured the Department’s expertise. Some of these are world-renowned - Doctor Who and the Daleks, for example; others are less well known - I’d never even heard of the 1970s series Moonbase 3, much less seen a show. But famous or not, Mat and Mike have put together a showstopper of a book that is packed with fascinating facts, whatever the TV show they are talking about. The densely packed text is backed up by hundreds of pictures, many of them new to print, so there’s a massive value here in archival terms alone. And because of the show-by-show presentation format, you can dip in and out at leisure, which suits my magpie reading style a treat. Should you buy BBC VFX? 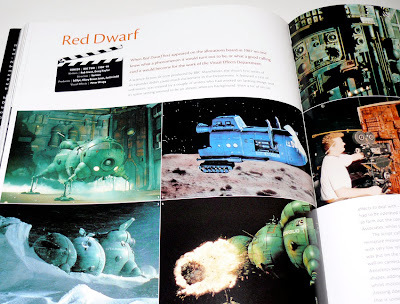 If you have any interest in the world of visual effects, then there’s no choice really - BBC VFX is a must-have, to sit on the shelf next to books on other VFX-masters, such as US concept artist Syd Mead, French illustrator Jean ‘Moebius’ Girard, and a galaxy of others. From a personal point of view, I’d like to see BBC VFX also available as an enhanced ebook for the iPad and other ereaders, as SMN Towers is absolutely stuck for storage space. Also, it would be good to see any video clips Mat and Mike have available, as well as personal introductions, discussions and links to specialist model suppliers. 1 Mike Tucker (left) and Mat Irvine, with Dalek and BBC VFX book. 2 Daleks in extermination mode. 3 BBC VFX spread describing the cult sci-fi series Red Dwarf. 4 This mini-Batmobile was built on Triumph Herald running gear. 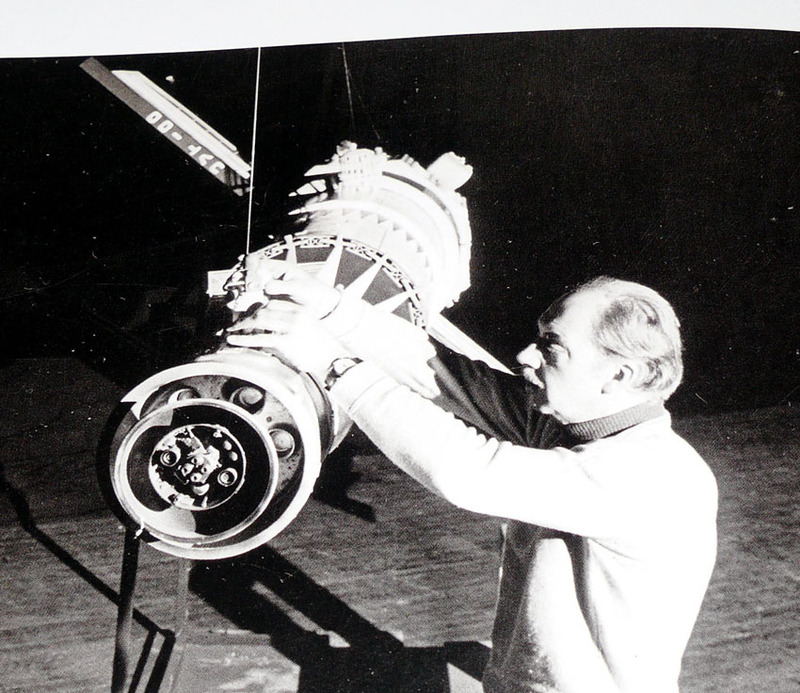 5 Along with Jack Kine, Bernard Wilkie founded the BBC VFX Department. Here Bernard sets up a space station scene from Quatermass IV, a proposed TV series which was never completed by the BBC. In fact, it was made eventually by Euston Films for ITV some six years later. VFX is published by Aurum; you can buy it here. See Daleks here and Doctor Who stuff here. “THUNDERBIRDS ARE GO” - AGAIN!